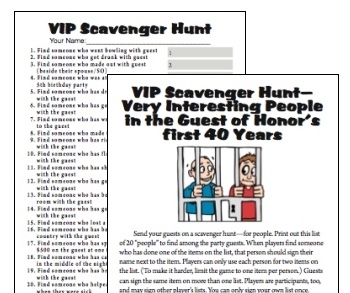 Get Some Printable 40th Birthday Games. Plan Some Fun Games For That 40th Birthday Party! Find fun milestone party supplies with themes like One More Candle, Over the Hill, Fabulous Forty, Infinite Party...take a look at the supplies and game ideas we found for you! 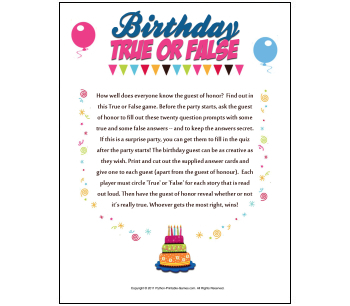 Get one printable game or buy a bundle...check out these fun printable party game ideas for your milestone birthday ideas. Here is how you get these fun printable games from Python Printable Games. First let's look at the list of games that are in this printable package. Our pack of 19 great 40th Birthday printables is perfect! You'll receive your games in minutes and can be playing right away. We've included a wide mix of game types, so there's something here for everybody. Organize all your 40th birthday party games for just $19.95. 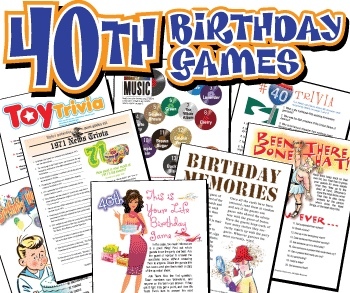 Find 50th, 60th birthday games too!